With the House update done, it’s time to move on to the new Senate update. Last week the pace of Republican gains slowed, as the GOP gained less than a full seat in my projection since I started running it. But the chance of a Republican majority has climbed every time, so let’s see if that still holds. AK: Lisa Murkowski (primaried): Primaries done. Joe Miller leads the early polling but not quite overwhelmingly. 80% R victory. AR: Blanche Lincoln: Primaries done. John Boozman up 20+ in polling. 99.9% R victory (from 99%). CA: Barbara Boxer: Primaries done. Likely Voter polls now favoring Fiorina very slightly. 50% R victory (from 33%). CO: Michael Bennet: Primaries done. Good poll for Bennet from Public Opinion Strategies. 60% R victory (from 75%). CT: Chris Dodd (retiring): Primaries done. Blumenthal stabilized for now against McMahon gains. 10% R victory (from 15%). DE: Joe Biden (resigned): Primaries in progress. Castle still up, but O’Donnell well down, and their primary is very close now. 50% R victory (from 95%). IL: Barack Obama (resigned): Primaries done. Kirk edges ahead again. 55% R victory (from 50). KY: Jim Bunning (retiring). Primaries done. Randal Paul’s lead seems to be growing, but two good polls outweighed by the CNN/Time tie. 85% R victory. LA: David Vitter: Primaries done. Vitter gets a bounce in Rasmussen. 95% R victory. NV: Harry Reid: Primaries done. 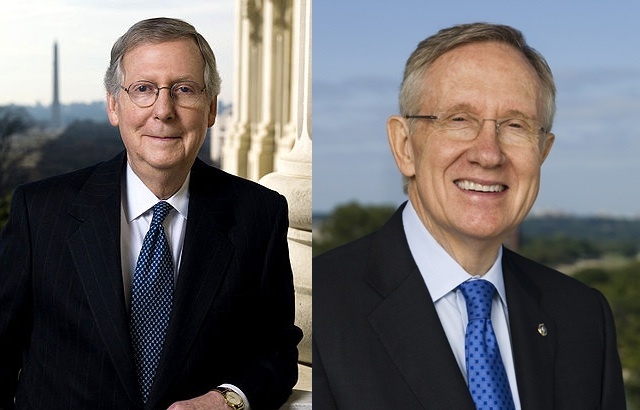 Clean sweep of small poll leads for Reid. 35% R victory (from 45%). NC: Richard Burr: Primaries done. Burr takes a big lead in one Rasmussen poll. 85% R victory (from 70%). NH: Judd Gregg (retiring): Primaries in progress. Kelly Ayotte bounced back in the general election matchup, but Lamontagne surges in the primary and lowers the percentage. 80% R victory (from 85%). OH: George Voinovich (retiring): Primaries done. Portman extends his lead. 85% R victory. PA: Arlen Specter (primaried): Primaries done (especially for Specter). Pat Toomey finally hits double figures in one poll. 85% R victory. WA: Patty Murray: Primary done. Rossi takes another poll. 60% R victory. WV: Robert Byrd (died): Special election in progress. Manchin lead cut from 16 to 6 to 5 now in sole poll. 30% R victory (from 25%). For the third straight week a 7 seat Republican gain is most likely according to my estimates. In this case though, the GOP has slid back to the result of two weeks ago, with 6 being more common than 8. Those three outcomes of R+6 to R+8 account for 59% (58,632/100,000) of the curve. 4% (4,434/100,000) of the trials gave Republicans a Senate majority, down from last week’s 6%, and again a return to the result of two weeks ago. Only 5 of 100,000 trials gave Democrats a gain. So the string of Republican gains is over as of this week, as the party backslid a bit. Democrats were helped quite a bit by turmoil in the Delaware and New Hampshire primaries, though that change was partially offset in states like California and North Carolina. But still: depending on how tomorrow’s primaries go Republicans will might gain back those losses, or give back even more ground next week.